While in the midst of its human-assisted levitation trick, the mouse’s left button lets you go back one page on IE while the right lets you go forward. For Mac users, there’s a Contour Mouse version that does its own thing with the vastly superior Safari. 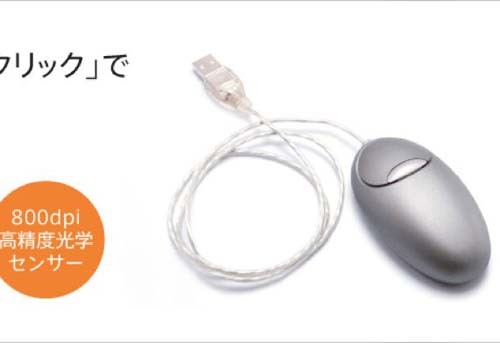 Apart from all this up-in-the air jiggery pokery, the 800dpi MiniPRO weighs 52g and costs ¥4,980. Derik’s Thoughts: Contour Mouse mentioned.